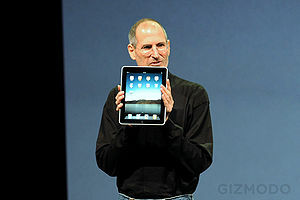 With the visionary, one-man-industryial-revoltion-creator, Steve Jobs, gone, Apple has a chance to deliver on this vision. At the same time, competitors, from Sony to Samsung, Mitsubishi to Microsoft, Goldstar to Google, all have an opportunity to remake an industry and remake themselves. As a bonus, they could prove Steve Jobs wrong on his Post-PC contention. I read an article in InfoWorld about the evolutionary paths of Apple‘s iOS and OS X operating systems. The more I thought about it, the more I became convinced that the next evolution of these operating systems is also an incredible opportunity for a parallel paradigm shift — from a newly emerging Post-PC to a Post-TV era. Here’s why. In my opinion, there are many different options open to Apple, in what strategy to follow. That also means several options for the technology industry in general to contemplate, rather than wait for Apple’s moves and then trying to play catch up. It would make perfect sense to see these “two” Apple operating systems (both with similar underpinnings) follow the typical development path — of launching bare essential features, adding features, improving usability, improving performance, and then bringing in new features to start the cycle over again. In this next decade, all this will be happening in an area not just of convergence in the technology arena (from cloud computing for consumers and converged infrastructure data centers for corporations), but also the form and factor areas of consumer & technology products; the convergence of entertainment & communications; and melding of the time we spend living, working & playing. We had laptops/desktops, and we had smartphones/iPhones. Then came the late Steve Jobs‘ iPad. Even as a Mac and Apple fan from it’s launch as a company, a platform, and a way of life, I was not certain how big a market iPad would find. It went on to create a whole new market category. More people increasingly expect to be able to do everything they can do on a laptop now on their iPad and even iPhone in many cases. And the reverse of that is an increasing expectation too. People want user interface, display quality, and app features from the mobile platform to be fit where appropriate on the desktop/laptop, the PC that is. We can easily imagine retina quality laptop displays (requiring higher resolution handing in the computer OS), touch interfaces, etc. making their way into laptops and desktops. By the very nature of us living in an increasingly mobile world, the lower price point for cell phones versus laptops, the greater convenience of tablets than carrying laptops, etc. we can obviously continue the market share of handheld mobile devices to grow over even increasingly ‘mobile’ wireless connected laptops. But, much that I agree with Steve Jobs’ contention that we live in a Post-PC age, it does not, at least in my opinion, mean the end of the PC. Instead, it is my contention that there is a huge opportunity for laptop (and desktop) makers to avoid becoming the platform that dies out and instead to make it the coming second age of the PC. At the very least they can build in 3D, much more powerful iterations of Siri-like (voice recognition and context driven intelligent assistant) logic on board, rather than requiring an internet connection as the iPhone 4S version requires. These are just some of the features they can add, but they also have a huge opportunity to pull a side-slide instead of being left behind in a paradigm shift. Everyone agrees that the TV industry is ripe for massive change – one that even Apple and Steve Jobs failed to truly deliver on with AppleTV. Image via CrunchBaseWith the visionary, one-man-industryial-revoltion-creator, Steve Jobs, gone, Apple has a chance to deliver on this vision. At the same time, competitors, from Sony to Samsung, Mitsubishi to Microsoft, Goldstar to Google, all have an opportunity to remake an industry and remake themselves. As a bonus, they could prove Steve Jobs wrong on his Post-PC contention. Let mobile devices with cloud connectivity increasingly make Personal Computers less important for “Computing”. Instead, make PCs drive the TV experience that industry and society are ready for, even though they don’t know it. Here is just one small bit of how I see this near-term future… [Long ‘Vision‘ Sentence Alert]. The ability to have the same device intelligently streaming exactly the programs we want to see on our big screen, the ads we are less likely to scream at, an ability to click a micropayment to skip a commercial at a particular cliffhanger moment, an ability to click our Likes or + on shows, specific scenes, even product placements, or characters, all while working on a video our 1080p iPhone or smartphone recorded that day, being edited in iMovie, automatically shared in the cloud, and onto new services that enable friends and fans to show appreciation (or make micro-payments) for our masterpieces, with built-in mechanisms for leading channels to track popularity of our creations on the fly in dynamic new content marketplaces, and bidding on them in real time, so they get added to their programming catalogs and we get paid… all while watching House on any TV in the house. Welcome to the Post-TV PC/Mac. It is time for your company and you to think of Mobile representing the Post-PC world — with a parallel universe emerging, where the [PC/Mac/Your Product] is the hub of the Post-TV era. Tech, television and electronics company leaders… Do touch that dial. Let’s change the channel(s). What do you think? Have your people call my people. Let’s Talk TV™. I read a recent article, Some tough questions you need to ask your cloud provider, by Rutrell Yasin. It is in the respected GCN (Government Computer News), a publication I also recall being interviewed by in the past. That was during my days of being CEO, EverTrac, the pioneer in location-aware eBusiness solutions, including tracking people and assets, indoors and outdoors, in the late 1990s. In it, the writer quotes, Wolf Tombe, chief technology officer within the Customs and Border Protection’s Office of Information Technology. I am certain Mr. Tombe is far smarter, more experienced and clout-carryng in government, technology, and probably even Cloud Computing circles than I am. But, I also respectfully disagree with his contention that some applications are “easy wins moving to the cloud, such as e-mail and collaboration tools”. If “easy” refers to how quickly and conveniently an app can be deployed onto a cloud or converged infrastructure, then I would say, most apps, whether email, or ISV created vertical solutions, can be migrated with reasonable convenience and the expected amount of work. If the contention is that somehow email and collaboration are no brainers to put in the public cloud, I strongly disagree. I think that is over simplistic and dangerous. What apps are no-brainers to move to the public cloud should depend on the mission-critical or sensitive nature of the data or functionality in the app, not what the app itself is. For example, even the simple email and internal discussion files of a nuclear weapons design agency with just 100 people would be far more critical to protect than, say, all the accounting data of a widget making company with 5000 employees. So, as I have said before, tough questions need to be asked… by clients, by media, and even by vendors. The stakes are too high, the opportunity too huge, and the threats too serious for any of these elements to be glossed over. What’s In A Name? What’s In A Function? What’s In The Hype? A recent blog entry on Internet Evolution by Mary Jander, titled “Clouds May Finally Be Forming for IT” recently caught my attention. Mary wrote about how companies have started looking at cloud computing as an infrastructure platform for their business. That got me thinking about the very concept of cloud computing – as it is being foisted upon the industry and business. Don’t get me wrong. I believe in the Internet and its power since before it became a commercial entity in the United States. It was for this reason that I elected to pioneer and be founder of Internet e-mail in Pakistan nearly 2 decades ago. I also do not wish to sound like one of those “everything that can be invented has been invented” naysayers. However, even as the technology lover and evangelist, sometimes I see the industry shooting itself in the foot by simply renaming, repackaging, re-hyping concepts every few years. Obviously, technology has been moving forward at a rapid pace every decade. Back in the day, a green screen operator’s “cloud” was somewhere in the big air-conditioned room far away, housing the mainframe. 10 years later the concept of client/server moved the cloud into a less discrete location and made it a little more granular. Then came the not so successful network computing concept which fell victim to its own hype. Next we have the Internet now being leveraged productively in some creative ways, but again causing marketing driven hype to set it up for potential disappointments and failures. It is partly for this reason, the lack of clear revolutionary changes in enterprise computing, that we face a problem. We have entire industry initiatives and business plans being built around terms that nobody even fully agrees on the definition of. Cloud Computing, Web 2.0, the Semantic Web, etc. are just some of the examples of how we, as an industry, are adrift. We are again latching on to buzzwords, hype, self-sustaining waves of “if we talk enough about it, it will happen” — hoping someone, somewhere, will create a solution which sells enough in the marketplace to validate the original buzzword. In the past some companies, like Microsoft, would derail perfectly good technologies possibly competing with their products by using FUD (fear, uncertainty, doubt). Many good companies, products and technologies fell victim to that. However, despite the best efforts of monopolies of their time, whether in computer hardware, operating systems or telecom, smart, nimble and aggressive competitors did create new products, categories and entire industries. That is why it is so ironic to me that thousands of companies and professionals are trying to create a new Cloud Computing industry — without overcoming the FUD factor inherent in the marketplace! Instead of removing uncertainty about what cloud computing means, what advantages it offers, what risks it carries and how those risks can be overcome, the players who want to lead in this industry are actually putting their faith in uncertainty! They are relying on poorly defined concepts, media driven hype and evangelist driven buzzwords. They are hoping to be able to come up with something that sticks while no one knows what it all means. That approach may work in the 3M Post-It sticky notes laboratory. But that is not how an entire industry, Information Technology and the Internet, based on a reality AND an image of clarity, consistency and communication standards can operate or succeed. This is not the way to overcome the FUD that validly exists in the minds of technology and business managers in the enterprise. Add to that the recent outages, consistent problems and massive hacks that have hit everyone from Microsoft to Google, from Twitter to Facebook, and you can see why selling Cloud Computing as the answer, or even ready for prime time conversion of businesses, is both disingenuous and dangerous. It is time for us, as an industry and professionals, to get out from under the umbrella of excuses that are often self-contradictory. When asked to define cloud computing we say things like “This is still an evolving platform”. When asked to sell the concept to clients, we make it sound like it is as reliable as what clients need and expect, knowing that it is not. Let us let the rain of facts, client needs, technology realities and user expectations wash away the layers of hype that are coating our vision. Then let us build clear definitions, clear messages, clear value propositions that will sell far better than the hype. Only with such clarity can we expect the sun to shine on a bright future for Cloud Computing. What do you think?